New Delhi, April 16: A day after the Election Commission of India (ECI) banned Uttar Pradesh Chief Minister Yogi Adityanath, BSP chief Mayawati, Union Minister Maneka Gandhi and SP leader Azam Khan from election campaigning, the Supreme Court on Tuesday expressed satisfaction over the poll panel's action. 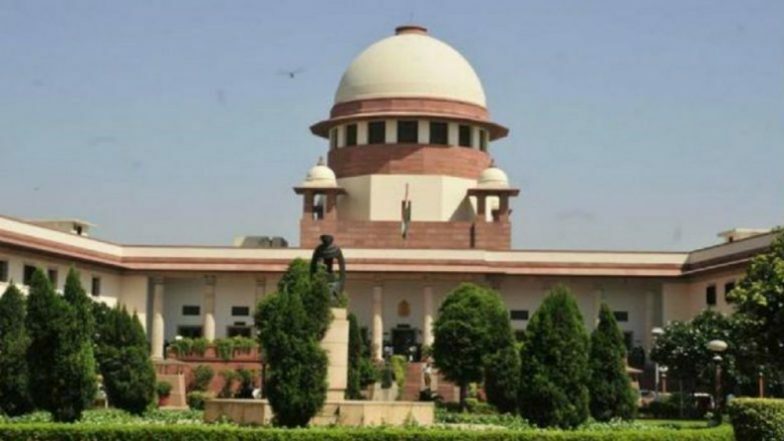 Taking note of the ECI's action against politicians for violating the model code of conduct, the apex court said it seems the poll panel is no longer powerless. "It seems you've got your powers back," said Chief Justice of India (CJI) Ranjan Gogoi in a sharp jibe at the ECI. The poll panel on Monday informed the top court that its power was circumscribed and so it could only issue notice, then an advisory and lodge a criminal complaint on repeated violations. The counsel for the poll body said it was "toothless" and "powerless" against hate and religious speeches made during the elections. Azam Khan's Derogatory Jibe Row: Akhilesh Yadav Comes Out in Defence, Yogi Adityanath Says 'Shameful'. Reacting to the ECI reply, the Supreme Court asked the ECI to respond immediately to hate speeches made by politicians. "This is something you are duty bound to do. You have to be prompt, you have to act immediately. You can't drag it," CJI Gogoi said. Hours after the apex court's criticism, the ECI swung into action and barred Yogi Adityanath and Azam Khan from campaigning for 72 hours. Azam Khan on 'Khaki Underwear' Comment Against Jaya Prada: I Will Not Contest Polls if Proven Guilty. The poll panel also banned Mayawati and Maneka Gandhi for 42 hours. While Gandhi was barred for asking Muslims in Pilibhit, her constituency, to vote for her if they wanted jobs, Khan was banned for making objectionable remarks against actor-turned-politician Jaya Prada, his BJP opponent in Rampur. Mayawati had urged the Muslim community to vote only for the SP-BSP-RLD alliance candidates, the Chief Minister had said if the Congress, the Samajwadi Party and the BSP had faith in Ali, "we have faith in Bajrangbali". During today's hearing, the Supreme Court also refused Mayawati's intervention against the poll panel's action. Dushyant Dave appearing for Mayawati requested the court to hear its argument, as there were important meetings scheduled for the day. The top court, however, said in that case file a separate plea if you are aggrieved, refusing any interim relief.